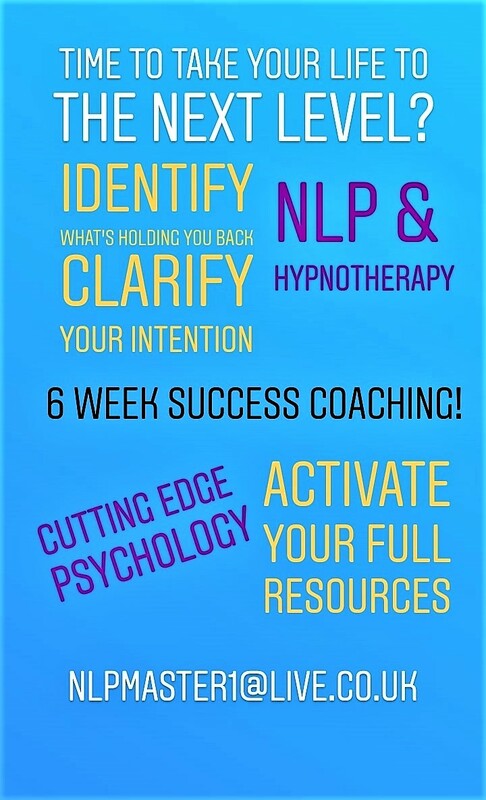 Take your life to the next level with this 6 week programme of NLP and Hypnotherapy. Bespoke to your needs in tackling whatever problems you may have and successfully resolving any issues. We will identify your desired focus to apply the powerful change techniques to and achieve transformation of whatever currently holds you back. A commitment of Six sessions over six weeks helps you to consistently generate behavioural change and psychological evolution. I will support you in making the relevant changes you need through consistent high level skills application throughout the period, ensuring you receive high quality input. Investing in yourself, your skills, your wellbeing, your psychological state is an invaluable investment, changing your quality of life forever. Simply decide on what’s holding you back or where you’d like to improve the quality of your life, and get in touch..